Posted: Mon 06 Oct, 2014 2:15 pm Post subject: THE WINNER: Eleven Years Down! We just finished our Eleven Years Down contest! This contest celebrated our 11th anniversary and offered up a custom 14th century styled quillon dagger made by Tod's Stuff and graciously donated by longtime member Craig Peters. Radovan Geist wins the prize!! Please take a second and give your congratulations to Radovan and please send your gratitude to Craig Peters for spending a ton of money to donate this prize. He's the one who made this happen, folks. Thanks, Craig. Stay tuned for more contests here at myArmoury.com! There's one coming in the next couple weeks for all those that participated in our donation drive in any capacity. Thanks to all you guys. Congratulations Radovan. That's a nice dagger you'll have. Nah, I'm happy for you, really. Congrats, Radovan! Incidentally, where do you live and do you usually lock your doors? Well done Radovan - it will certainly go to a good home, but I am pretty sure you could make your own! Send your address over and I will get it in the post. Once again, thanks to Craig for sponsoring this competition and thanks to Nathan for creating the site. Whilst on the thank you trail I would like to say something that was shown very clearly to me the other day and that is how well and temperately this site is moderated. I was looking for some information on wood on another site and somebody made a comment that was incorrect, but then there followed a tirade of abusive comments from several members about the posters intelligence. All of which was offensive and none of which was useful or encouraging. This site not only expands all our knowledge, compliments our hobby and gives a springboard to people like Radovan and myself, but does it in such a well managed and positive way, obviously driven by Nathan and the crew, but also by the MA community at large. Sorry for the mind dump, just felt like a convenient time. Congratulations Radovan. Enjoy your new dagger! Congratulations Radovan and as a previous winner of one of Leo's daggers I know that you will be very happy with it. Having won one of these contests before I was almost fearing winning again as being almost " Too Lucky " seeming ..... But I'm sure I would have gotten over it and been happy to win anyway. Congratulations Radovan! 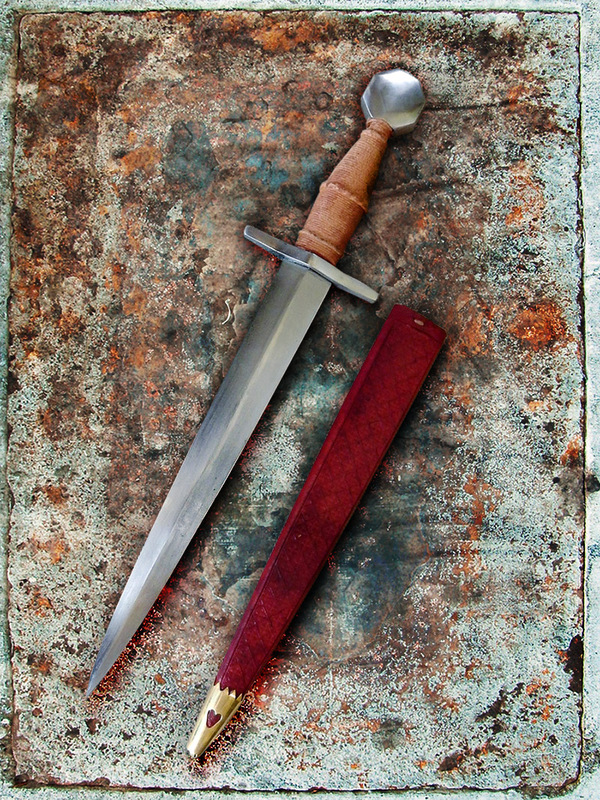 I’m sure this beautiful dagger will be very happy in its new home. Congrats! That's a sweet prize. WOW guys, gentlemen, thank you! And a big thank to everybody that was involved in this contest - the organiser (Nathan), the donor (Craig), the author (Tod) of that beautiful dagger. Last but not least a big thank to everybody who has participated on this contest - and supporter a project that we so much enjoy! Notwithstanding this beautiful surprise (believe me, this is the first time I have ever won in any "lottery" - not that I´d have tried too many times...), I´m always really happy to contribute to running of this site. Thank you Nathan, and thanks to all that share their knowledge, doubts, speculations, etc. here. For me, it´s a great source of inspiration, information, and fun. Other than that - I´m pretty SPEECHLESS... Thanks. And to Craig ... Thank you for your generous donation. Do know that it involved a lot more than just simply ensuring an item was mailed to someone! Not sure I would have been as benevolent. 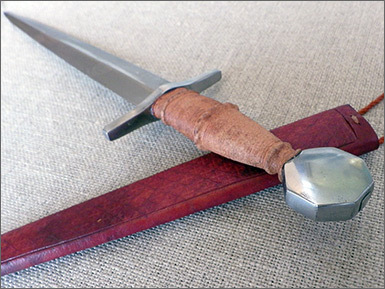 Congratulations to Radovan - I'm sure this dagger is in really good hands. Thanks to Craig for his generousity and Tod for his craftsmanship. And last, but in no way least - many thanks to Nathan, who put this altogether, and is constantly keeping this wonderful place running. I'm curious to read Radovan's thoughts when he gets the dagger in hand. As I mentioned, I never got to see this one in person... it was shipped directly to Radovan from Tod! thank you again, to all - especially those involved in organising this contest. I will surely post some thoughts when I get it. I´ve promised to write down some impressions and will do that very soon. Thanks again to all.